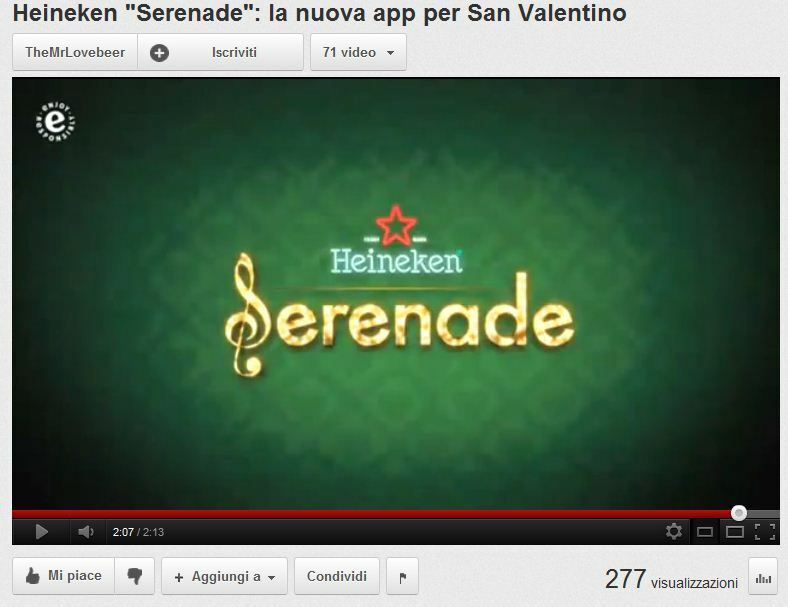 Heineken | the creative bazaar. 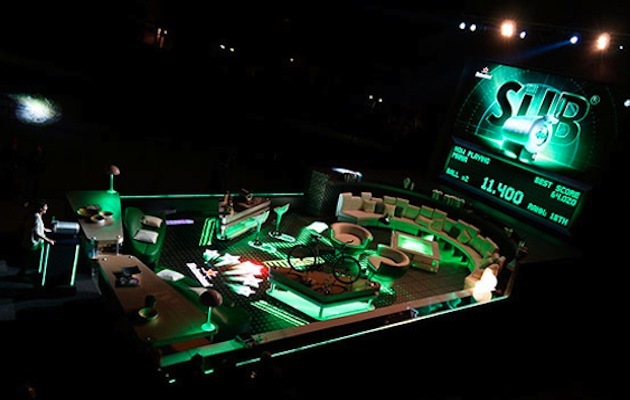 The SUB Living room – Heineken. 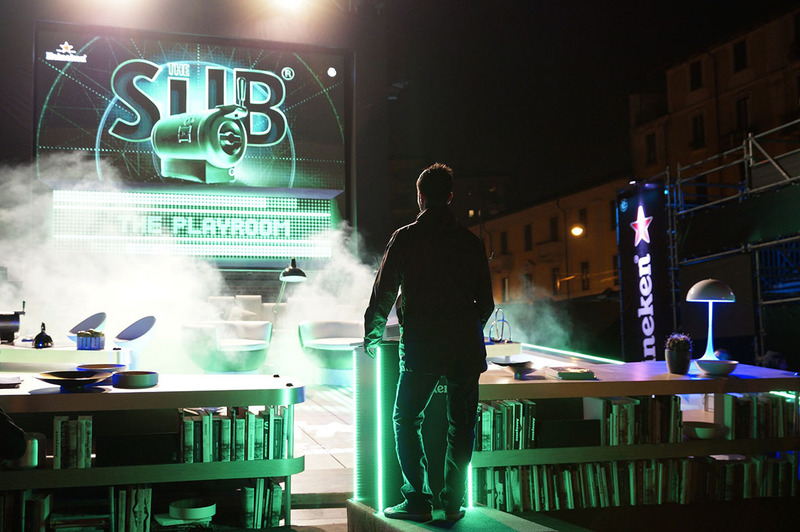 During the Milan Design Week 2014 Heineken invited people to play The SUB, its latest draught machine. To show how a design living room can become more playful, visitors were able to turn it into a huge pinball. 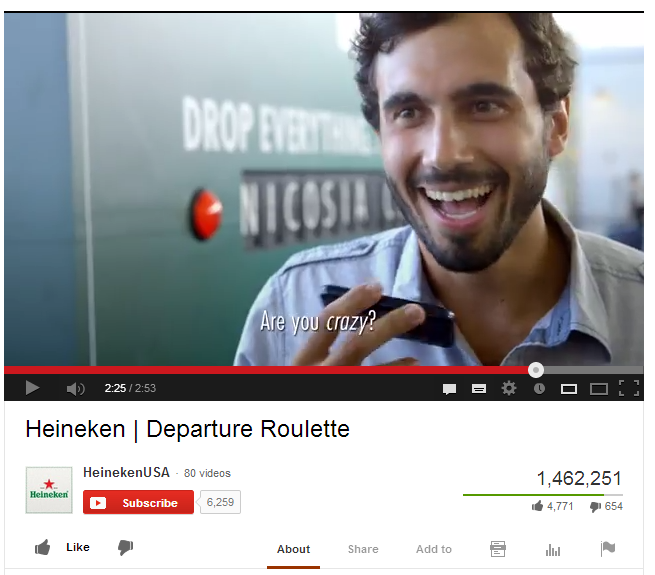 Heineken extends ‘Voyage’ campaign with ‘Departure Roulette’ recap video via W+K NY. 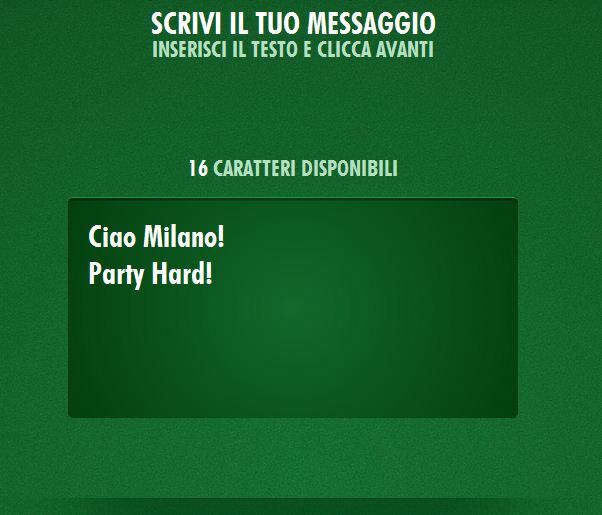 Your itinerary’s fine, but Heineken think a last minute change of plans is much more exciting. They found a few people at JFK Airport who’d agree. Would you play Departure Roulette? 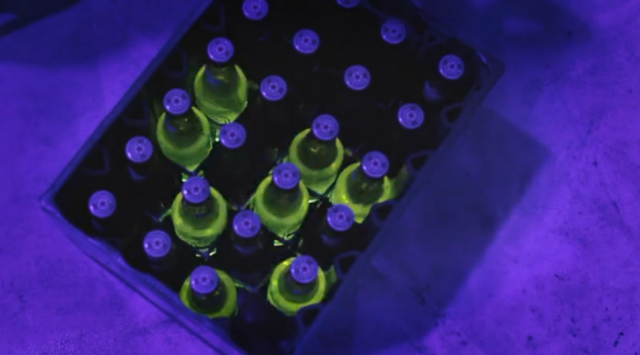 Billboard Video Mapping – Heineken. Do you think it’s impossible to find a ticket for Wembley with only a few days left to the Final? 20 seats, 20 tickets, scattered around 2 cities, but only one hour time to find them. 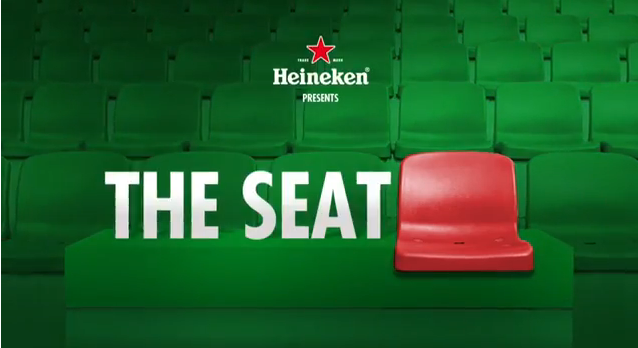 Heineken is making the most of their UEFA CHampions League sponsorship with this ‘hidden camera’ film. Can you convince your girlfriend or wife that you absolutely, positively NEED those red plastic stadium seats in your home? 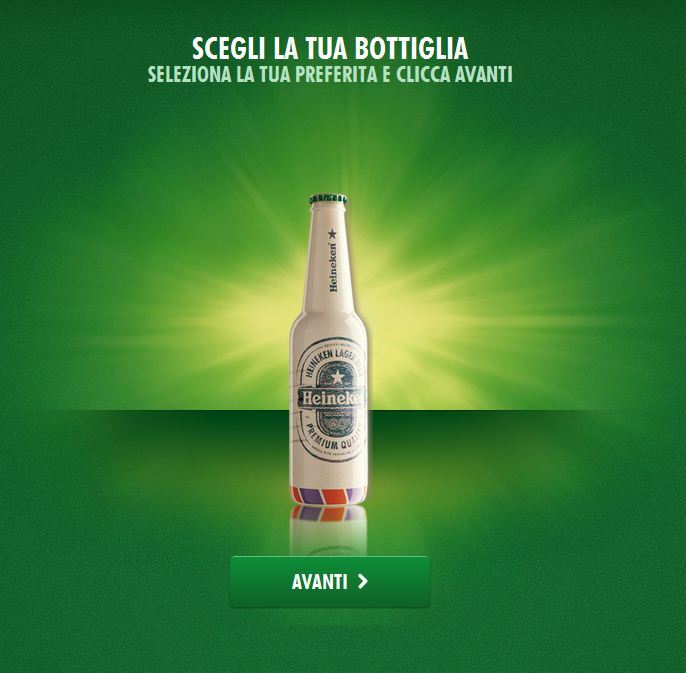 Heineken Ignite turns the bottle into an interface for a more socially connected drinking experience between people and the club. The bottle literally lights up when people clink any two together for a “cheers”. It sparks when they take a sip, and goes to sleep when left untouched. The bottles also react to music in the club. The lights can be remotely activated and controlled by specially developed VJ software resulting in the bottles pulsing to the music beat. The first prototype although a little clunky and still separate from the bottle itself served as a proof of concept. The next challenge was to minimize the hardware. Everything needed to fit underneath a bottle of Heineken. With a custom designed board the tech team managed get everything to work in something that was just a little bigger than a 2 Euro coin. The project went from first brief to prototype in just 10 weeks. I think we’ll see more and more agencies adopt this kind of startup mentality and rapid prototyping. It will require agencies to partner clients in a much more collaborative process that goes beyond messaging, delving into product design. Everyone has a favourite bar, the sort of place where the barman knows your name and favourite tipple. It might look like a dump at first glance, but with a cold pint in your hand it becomes the coolest place in town. Heineken has had a string of ads focusing on the coolest men in town. The Entrance saw a kung-fu fighting, quick-drawing flute player get the party going, while a super-smooth ladies man melted hearts in The Date. However, the lager brand’s latest offering doesn’t focus on a hero, instead it focuses on a bar. Three very well-dressed men arrive at a rough-looking dive bar. Two of the friends look unconvinced by the grubby shack, but the third strides confidently to the bar and orders up a round of Heineken. Things instantly start to improve. The barman starts to pour the drinks and pulls a lever hidden under the bar. The filthy walls give way to a stunning fish tank, the barman swaps his flannel shirt for a crisp tuxedo and the piano player is whisked away to make room for a live soul band. 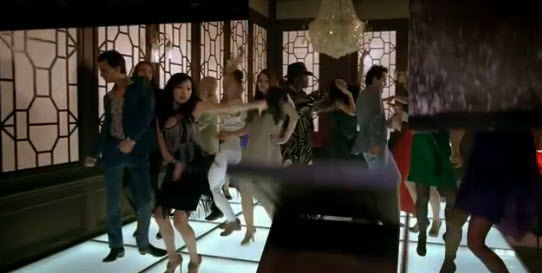 As the final pint is pulled, the walls fold away to reveal a dance floor packed with beautiful women. The friends sip their Heinekens and admire their refurbished surroundings. 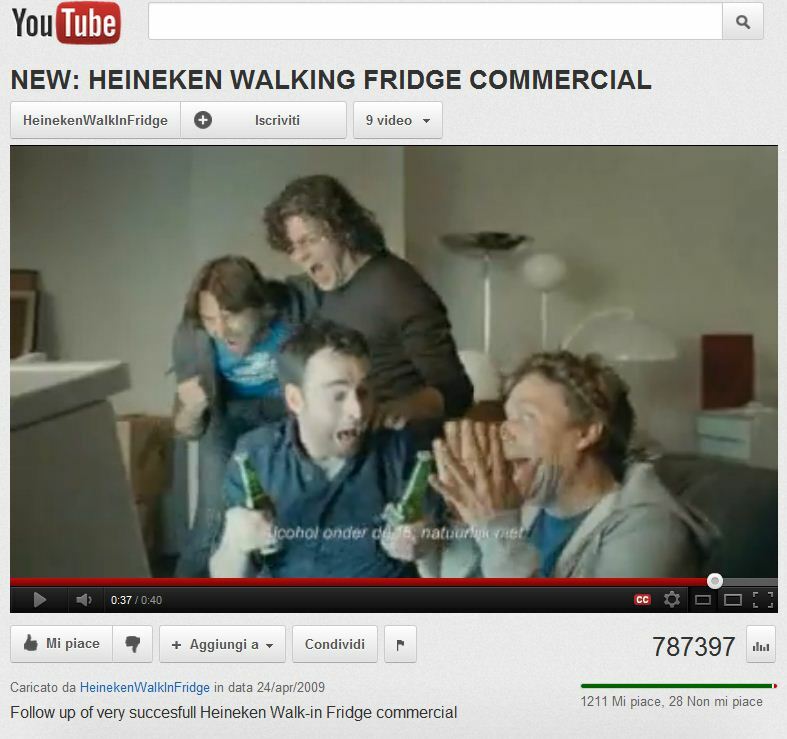 Put together by TBWA, the ad has won over 137,000 views since is was launched a week ago. The super-slick ad has garnered over 4,300 shares, becoming popular on Twitter. 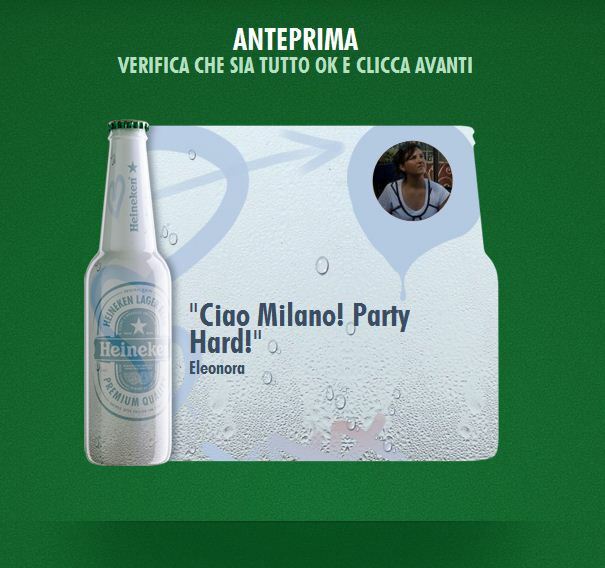 Take your space – Heineken. See you bottle on the wall.